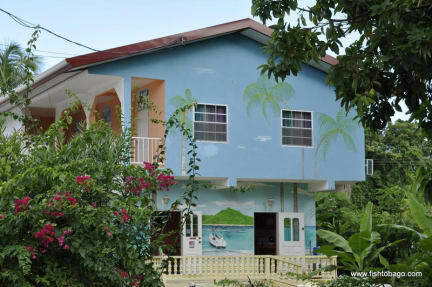 Fish Tobago Guesthouse i Buccoo Point, Trinidad och Tobago : Boka nu! We stayed at Fish Tobago for almost two weeks and had a great time. 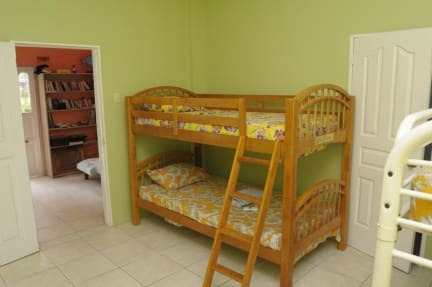 The staff was very helpful and kind, for example we messed up our booking but they took care of everything for us and made sure we could stay for as long as we wanted. The owner Brandon was very generous and friendly. Super safe location, we never even used our room key, it was a very friendly atmosphere. We also went on a fishingtrip which was a bit pricey but still an amazing experience. Would recommend!